Your customers are the lifeline of your business. Nothing entices and enchants them more than our custom commercial holiday lighting services. Our custom packages let you select the perfect display that will make your businesses’ doorstep more festive, more noticeable and busier than your competitors. Tree lighting with Illuminight’s custom Trinity Lighting System, or our multi-Color fading lighting treatment will seize new customers’ imagination and dazzle your current customers’ imagination. Real and artificial fully decorated and installed trees of all shapes and sizes. We want to make your business shine bright this holiday season. 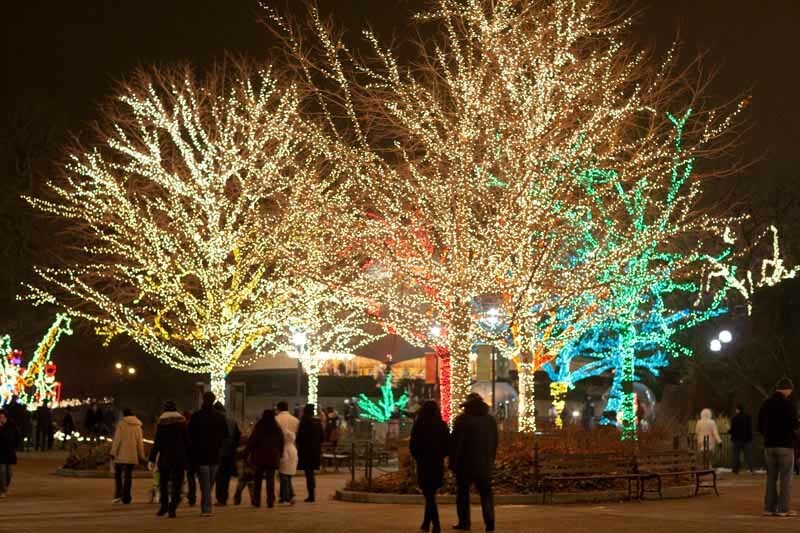 Whether we are installing new innovative holiday light displays for ZooLights at the Lincoln Park Zoo or decorating Chicagoland townships, we make your holiday display the best on the block! Let your business shine bright this holiday season.